Bereaved parents of terror victims demand Avigdor Liberman fulfill his promise to pursue death penalty for terrorists. 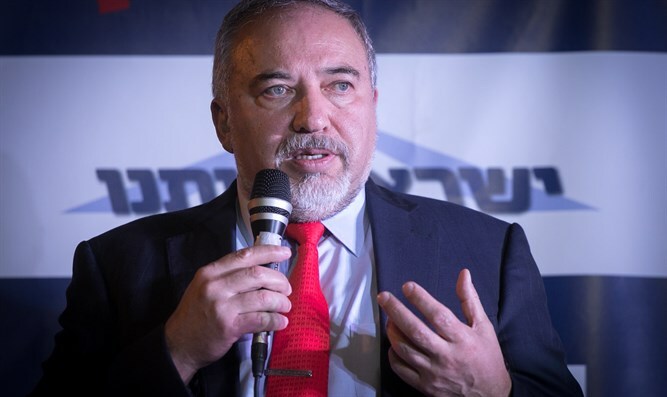 Bereaved families from the Almagor terror victims organization plan to launch a campaign after the holidays that will call on Defense Minister Avigdor Liberman to fulfill his promises to promote the death penalty for terrorists who murdered Jews. Dr. Aryeh Bachrach, the father of Ohad Bachrach, who was murdered by terrorists in Wadi Kelt in 1995, said that "Liberman has been in office as Defense Minister for a year and a half, and has not yet ordered the military prosecution to demand the death penalty." "In his field and in his shift, the military prosecution plays its game as if there is no defense minister, and the defense minister is silent on the one hand and sends belligerent statements through his party at the same time." Yisrael Beytenu chairman MK Robert Ilatov submitted a bill several days ago to make it possible to seek the death penalty for a person convicted of a nationalistic murder by a military court. The bereaved families at Almagor view the bill as nothing more than spin. Ron Kerman, whose daughter Tal was murdered in a terror attack in Haifa, said that "this is another spin on the backs of the victims of terror. This time it is not for election purposes, but to make it feel as though the absence of a law is what is not allowing Liberman to act." Kerman recalled the announcement by the Military Advocate General, Brigadier General Sharon Afek, that he will not seek to impose the death penalty on the terrorist who murdered three members of the Salomon family in Neve Tzuf-Halamish. Yossi Zur, also a bereaved father, conveyed a clear message to Liberman: "You do not need the death penalty legislation to apply the death penalty within the framework under your responsibility. Use the existing law under military law - today. The Salomon's murderer should be the first of the killers to deserve the death penalty."